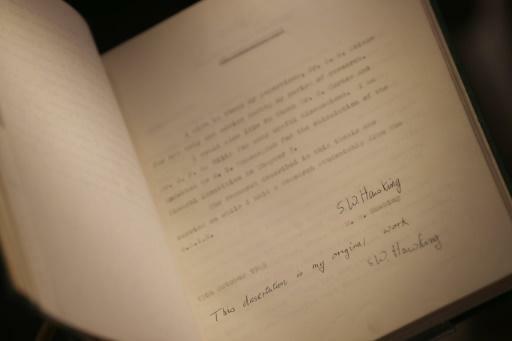 A copy of Stephen Hawking's doctorate thesis signed in a shaky hand was the highlight of an auction of the British physicist's personal items in London, which raised nearly �1.4 million ($1.8 million, 1.6 million euros). The copy, one of only five originals of the thesis entitled "Properties of expanding universes", smashed pre-sale expectations four times over to sell for �584,750 at the Christie's sale, which ended on Thursday. 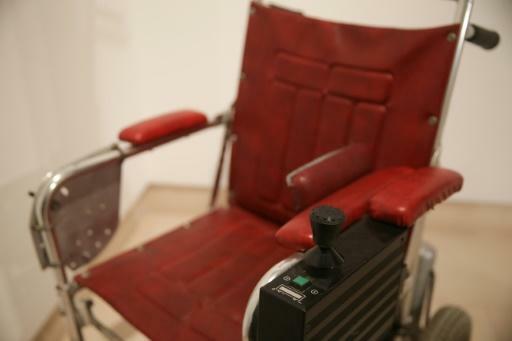 A red leather wheelchair that Hawking used from the late 1980s to the mid-1990s, driving himself using a joystick, sold for �296,750 while an early edition of his bestselling book "A Brief History of Time" marked with a thumbprint, fetched �68,750. A script from one of his appearances on the television series "The Simpsons" was one of the 22 lots under the hammer, selling for �6,250. 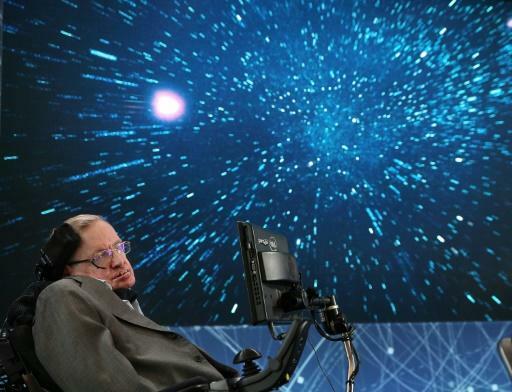 The collection highlighted the brilliance, determination and sense of humour of Hawking, who died in March aged 76 after a lifetime spent trying to unlock the secrets of the universe. Hawking published his thesis in 1965, two years after being diagnosed with amyotrophic lateral sclerosis (ALS), a form of motor-neurone disease that would eventually leave him paralysed. His first wife Jane typed out the 117 pages but he added two hand-written signatures and the words "This dissertation is my original work" at the front, as well as several mathematical equations inside. When the document was made available online last year by Cambridge University, where Hawking spent his career, it was so popular that it crashed the website. A collection of his medals and awards, including honours from the Royal Astronomical Society, sold for �296,750, with the entire collection achieving �1,384,625. "We are very pleased to have the assistance of Christie's to help us with the important matter of managing our beloved father's archives and his unique and precious collection of personal and professional belongings, chronicling his life and work," the physicist's daughter, Lucy Hawking, said before the sale. "We are also giving admirers of his work the chance to acquire a memento of our father's extraordinary life in the shape of a small selection of evocative and fascinating items." An invitation he sent out to a party held several years previously, a light-hearted experiment to see if any time travellers would turn up, sold for more than 10 times its pre-sale estimate of �100, while a bomber jacket he wore in a 2016 documentary raised �40,000. The items are only a small selection from Hawking's archive, which his family is donating to the nation in lieu of paying inheritance tax, although there are no details yet of where it will be stored. The auction funds will go to the family although the money raised from selling the wheelchair will be donated to the Motor Neurone Disease Association and the Stephen Hawking Foundation.